(Brassica napus x rapa) 85 days. [1860s] Famous heirloom selected and named by Vermont farmer Jack Gilfeather. An early addition to the Slow Foods Ark of Taste. 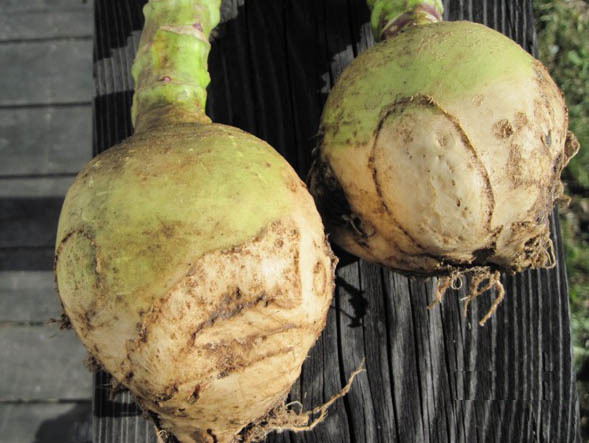 A rare cross between a rutabaga and turnip, roots are white and sweeter than most rutabagas. Greens are also tender and sweet. 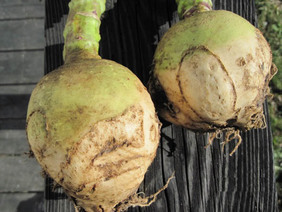 Plant mid-summer as one would other rutabagas. Best flavor after frost. Pkt (2 g).